A home much like your own. Rehema Home Nairobi is located in a residential suburb on the outskirts of Nairobi, Kenya. 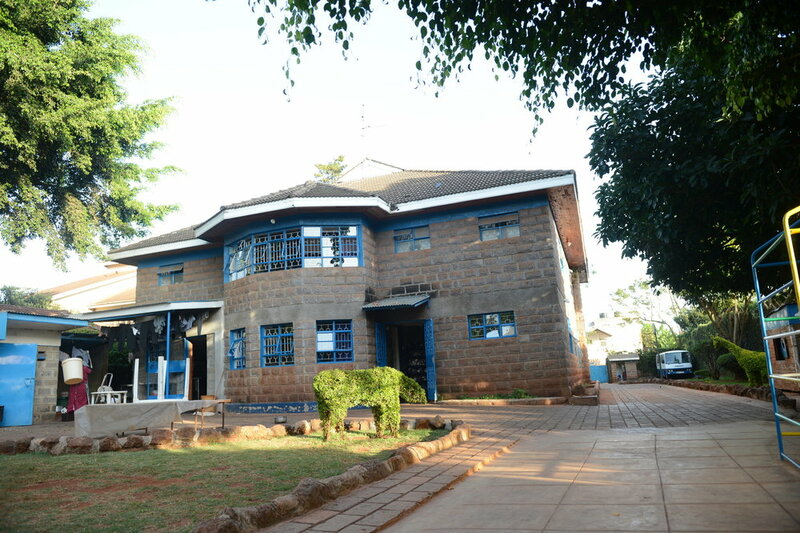 The half-acre property is enclosed by a security fence like most homes in Nairobi. The Home has several bedrooms with bunk beds and attached bathrooms. There is a large living area, a large dining area, a kitchen, and a small library. The property also has a laundry facility, a garden, and a play area with a sandbox, jungle gym, a slide, and a swing set. Today, if you walk around our Home in Nairobi, you’ll see 60 children ranging in age from birth to eighteen. You’ll hear staff and kids speaking Swahili and English. Our Home is very similar to that of many families. The kids are almost always trying to get out of doing homework and perpetually kicking the soccer ball around. As you can imagine, we have mountains of laundry, daily family-style meals, and the seemingly never-ending schedule of extra-curricular activities.